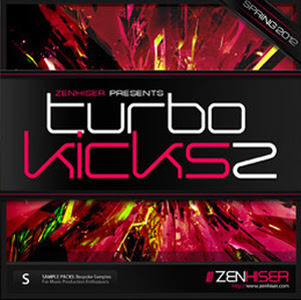 It's time for the second installment in the Turbo Kicks series and we've gone even more slammin with this sample pack! 250 incredible, powerful and obscenely driven kick drums ready to assault your music productions and remixes. Designed and created perfectly for the harder side of Dubstep, Electro House, Big Room House & Breaks this collection of uber kicks will push speaker stacks to new boundaries! Every kick within this sample pack has been carefully crafted then gone through a multitude of outboard and digital fx, then mastered and then tweaked a little more to deliver something we just haven't seen in kick drum sample packs to date. These kicks start off tough and end up extremely hard so as you progress through the kicks you can choose just how hard and tough you want to go. Kick drum samples just don't slam this much so if you are looking for serious power and drive in your music productions then this sample pack is for you. Just drop a kick into your dubstep track, and electro house monster or tripped out breaks and see how quickly your drum track gets a new lease of life, yes these kick drums are that good!